Get the WHD calendar on your website! 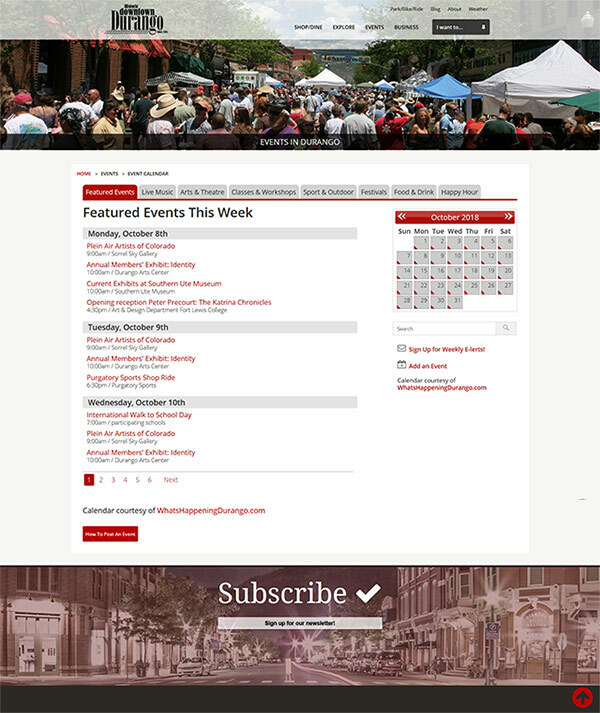 You can have the WHD calendar on your company website with all the events that are happening in Durango! It's free right now! * Contact us at info@whatshappeningdurango.com for more information! *Your website must meet certain technical requirements and a touch of customization might be required. A small setup fee may apply.